I first found them on 43rd Street, then 20 or so years ago they moved to 52nd Street, and their new location is 64 West 38th Street which is near Sixth Ave. 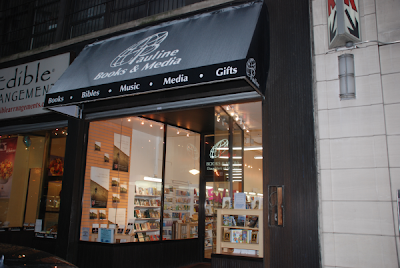 They are the excellent Catholic books and media store in Manhattan. Phrases never heard outside of Manhattan Dept. It's a 5-story walk-up. Dreadful.